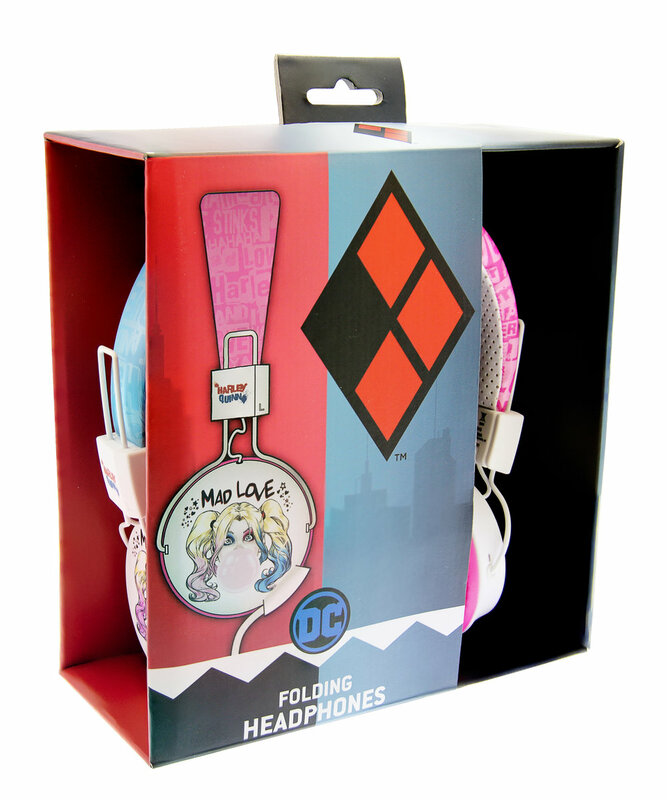 Harley Quinn foldable headphones featuring the vibrant pink and blue colours to replicate Harley Quinn's famous hair. Compatible with all devices (such as iPads, smartphones etc.) using a 3.5mm jack. Padded adjustable headband - these headphones will fit children from age 8 through to adult.